He really talks! 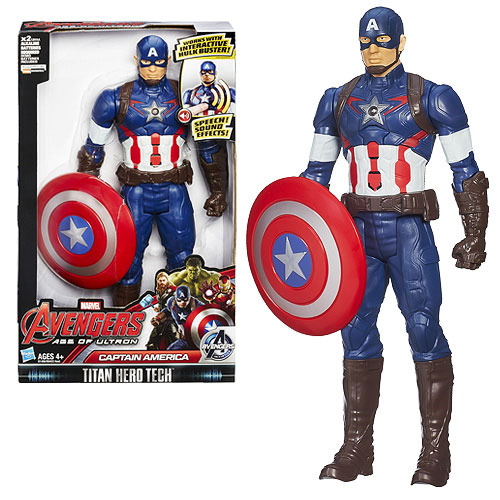 Armed with a shield, the Avengers: Age of Ultron Titan Hero Tech Interactive Captain America Action Figure is a massive, 12-inch action figure with articulated limbs and real speech - just like the real Cap! This figure is interactive, and can communicate with Avengers: Age of Ultron Titan Hero Tech Interactive Hulkbuster Iron Man Action Figure, sold separately. Requires 2 "AA" batteries, included. Ages 4 and up.